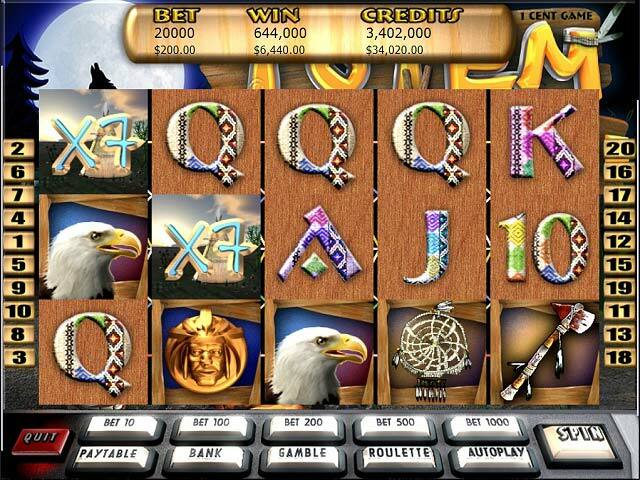 The Totem smiles upon you four times as you accumulate great wins in the much-acclaimed slot machine game. Howl at the moon as you win during the triumphant Dreamcatcher Feature. Lock in your Gold Totems for a chance to cover all reels with wildcards. 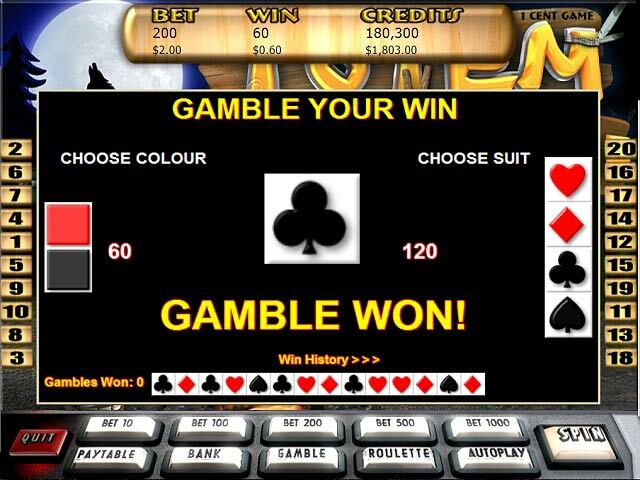 Top it off with the Mystical Totem feature - where you can multiply your entire win a massive 256 times! How lucky are you? Try it now and see! 13 symbols on each payline.